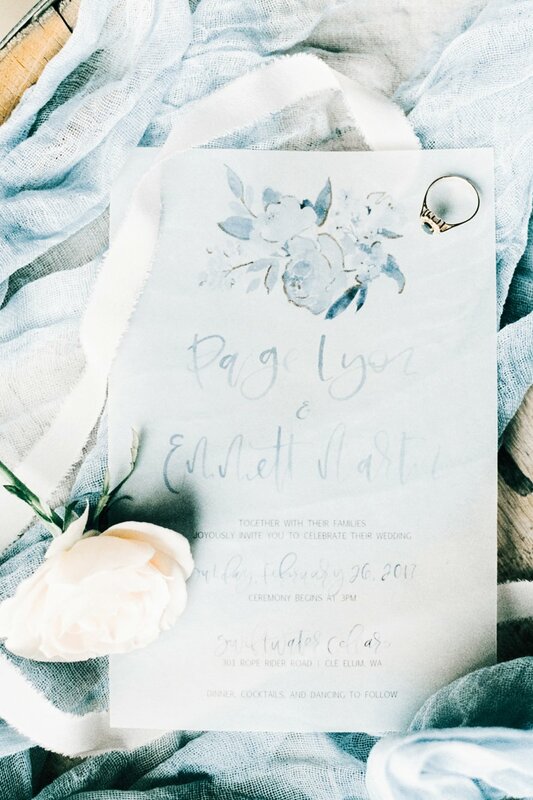 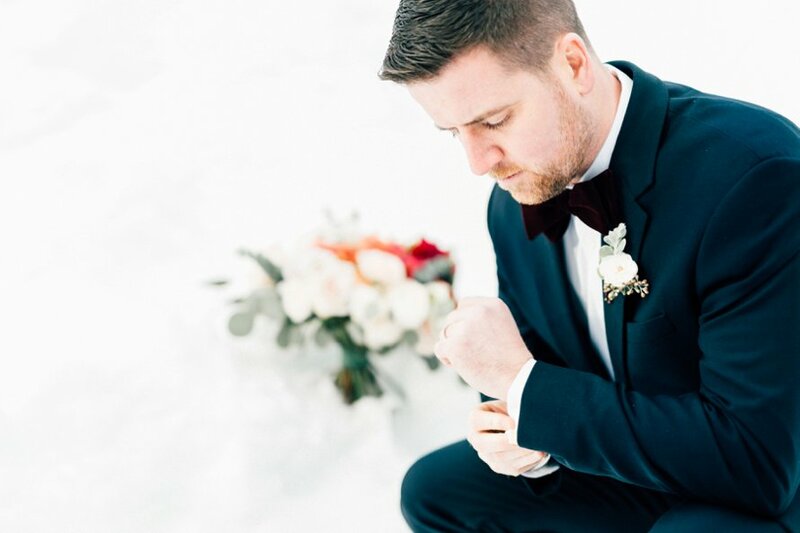 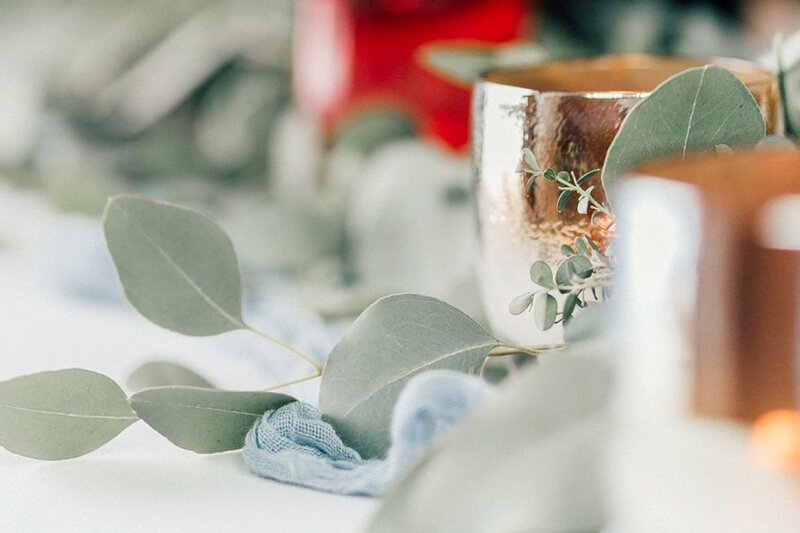 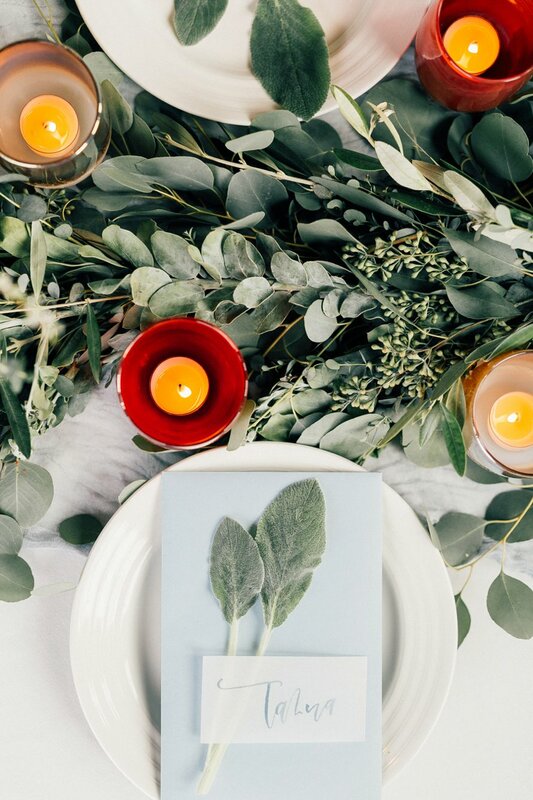 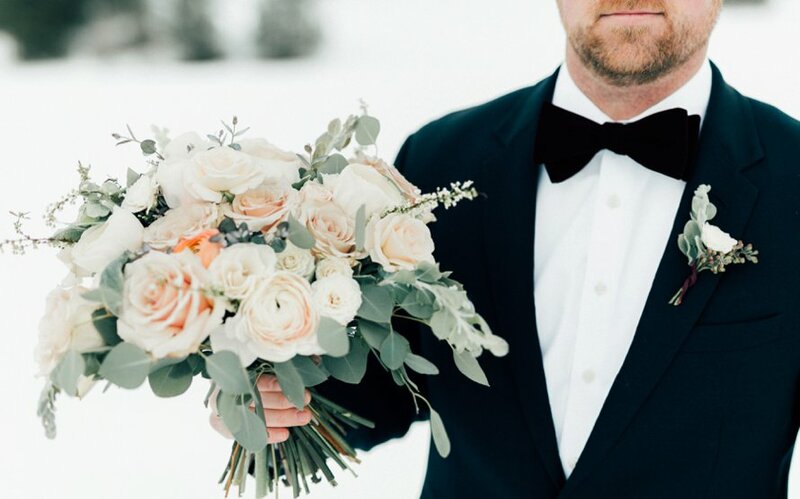 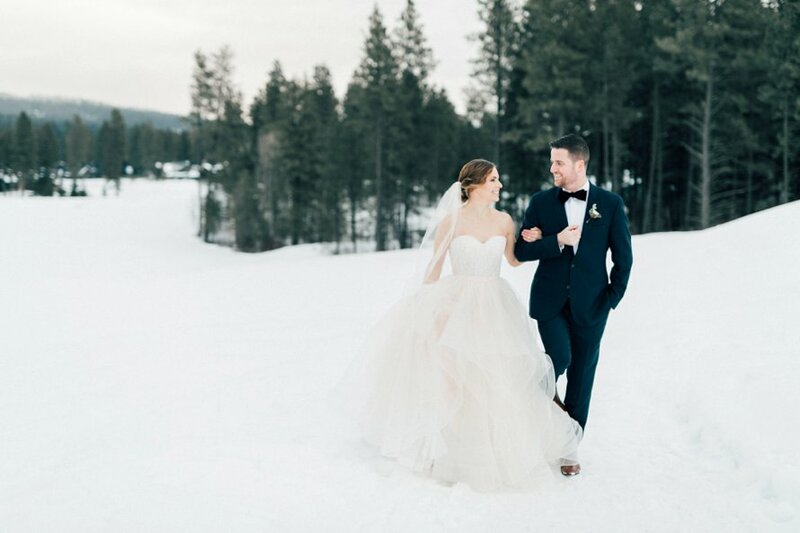 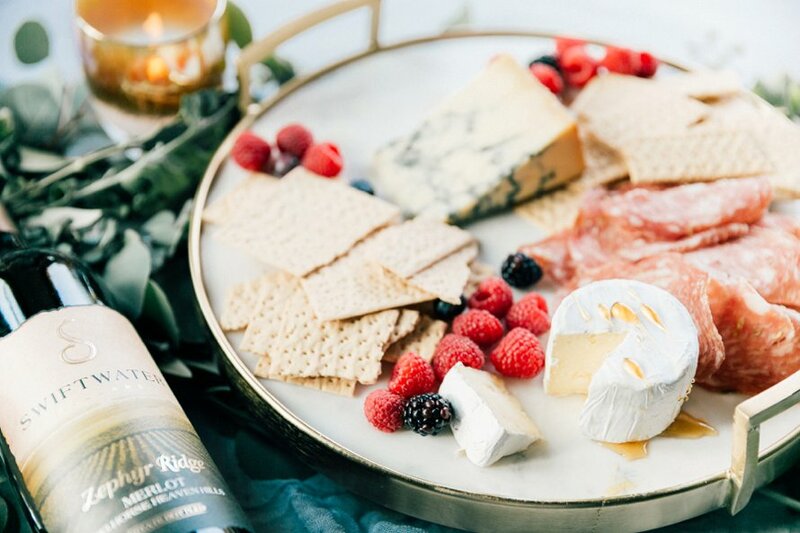 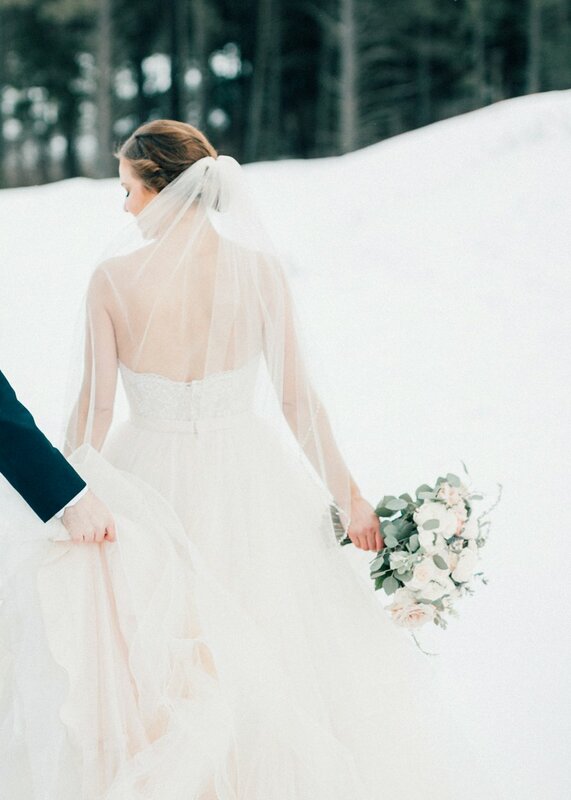 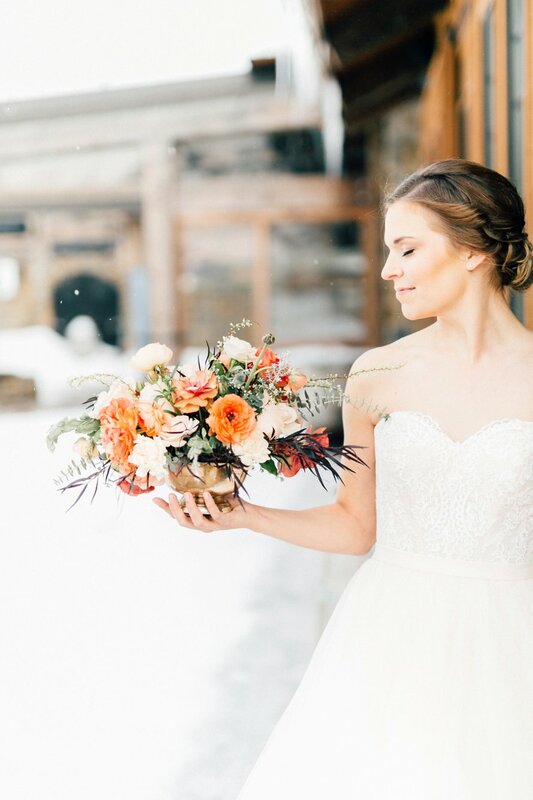 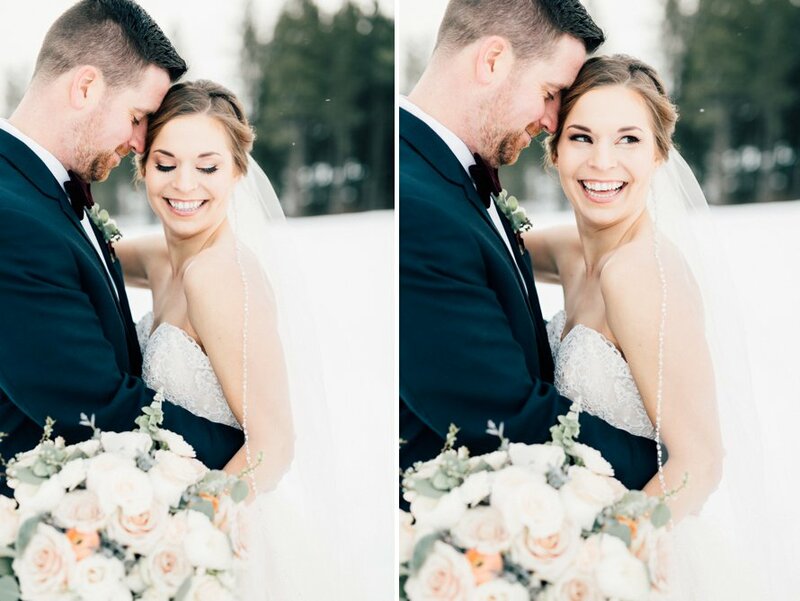 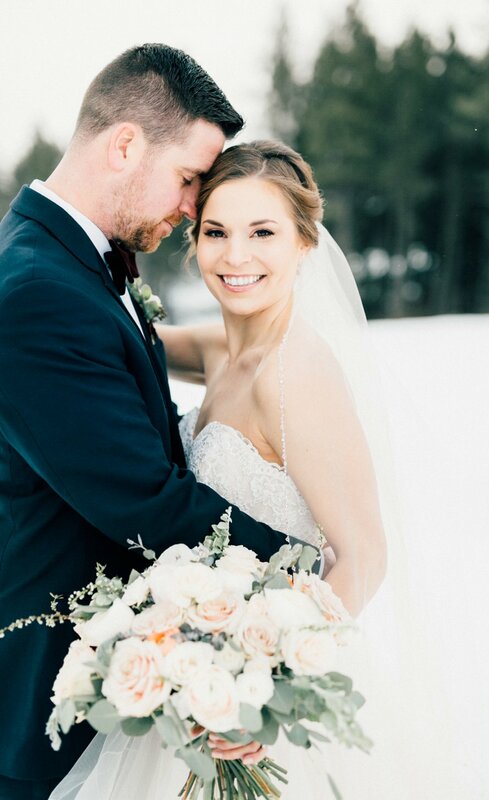 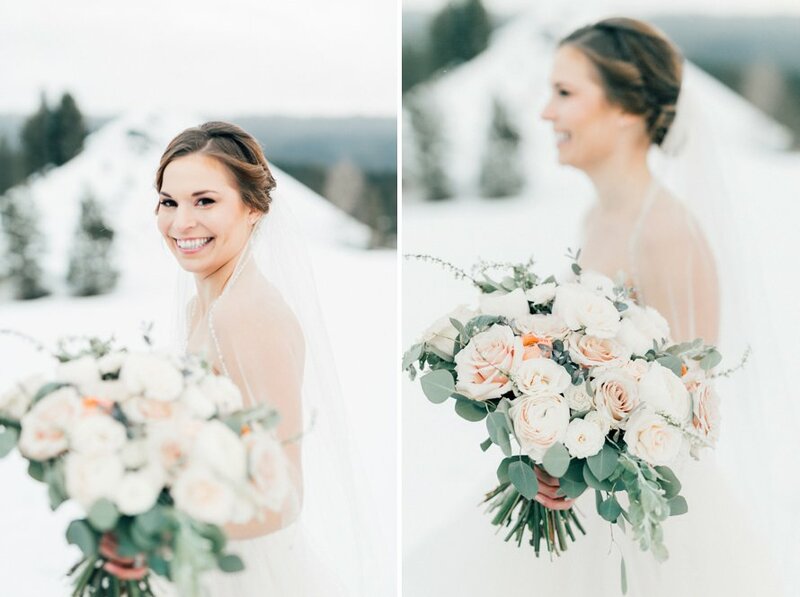 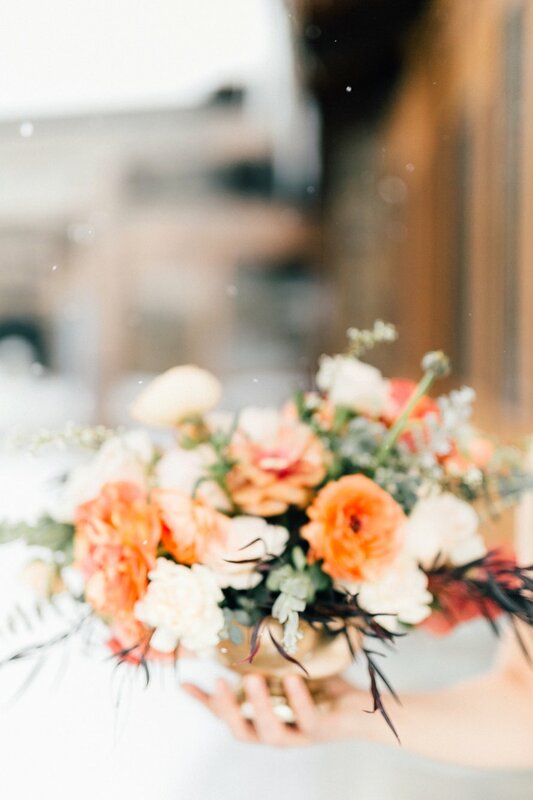 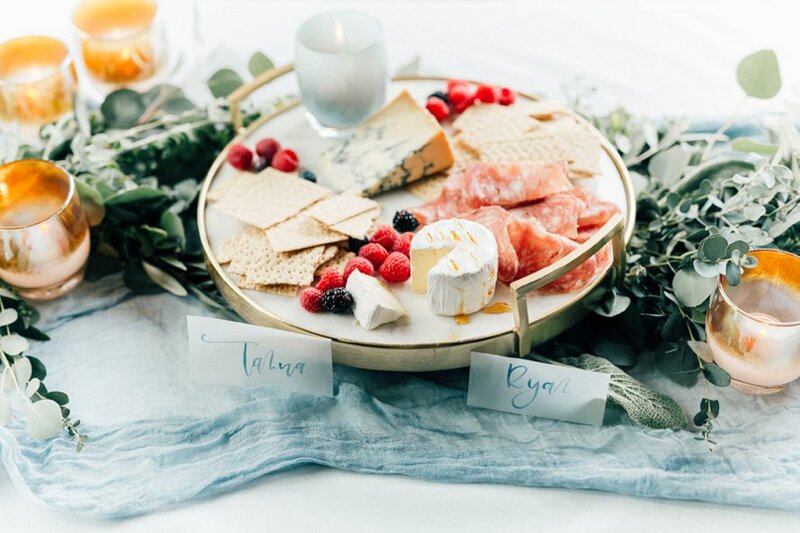 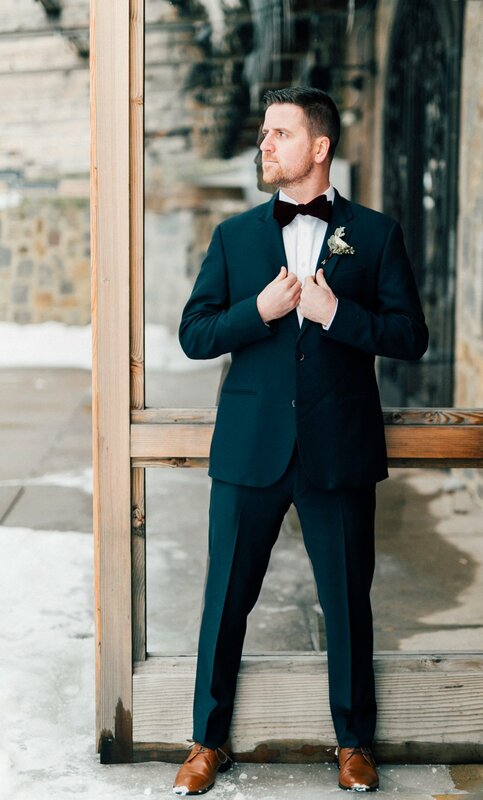 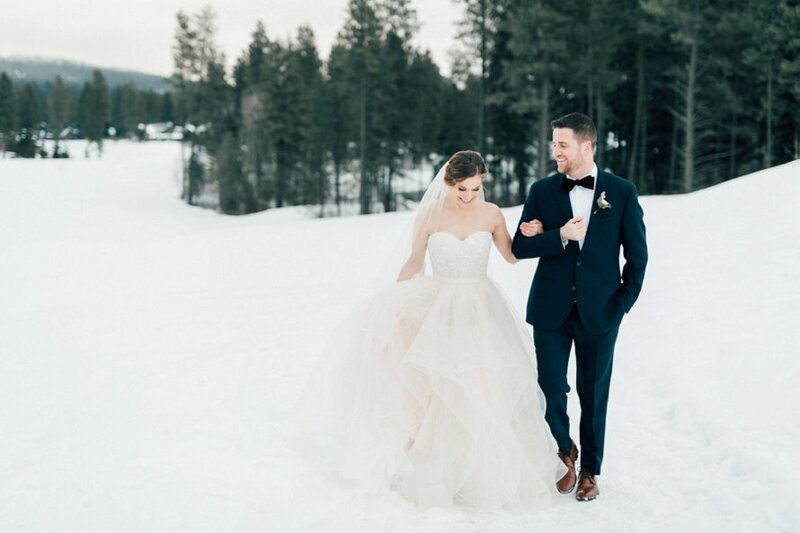 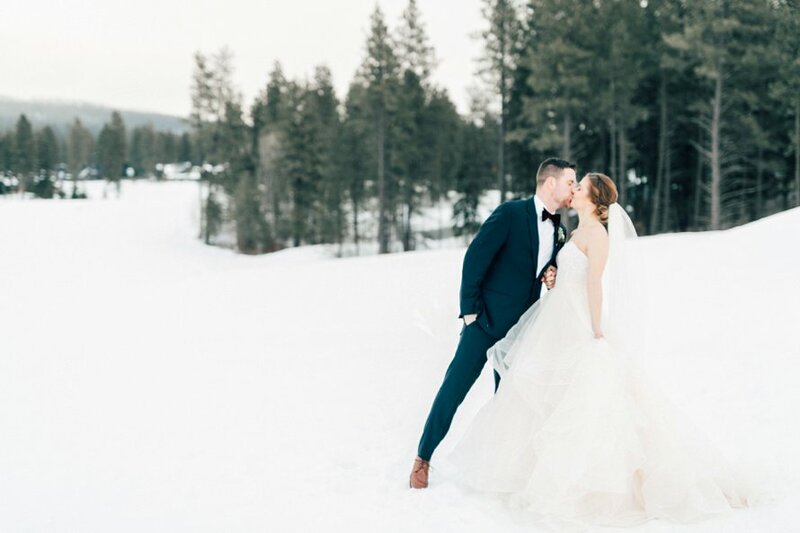 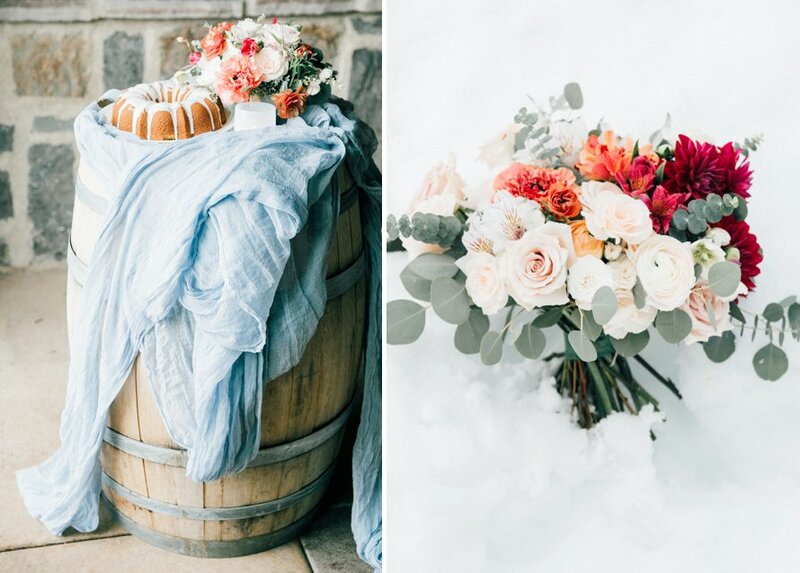 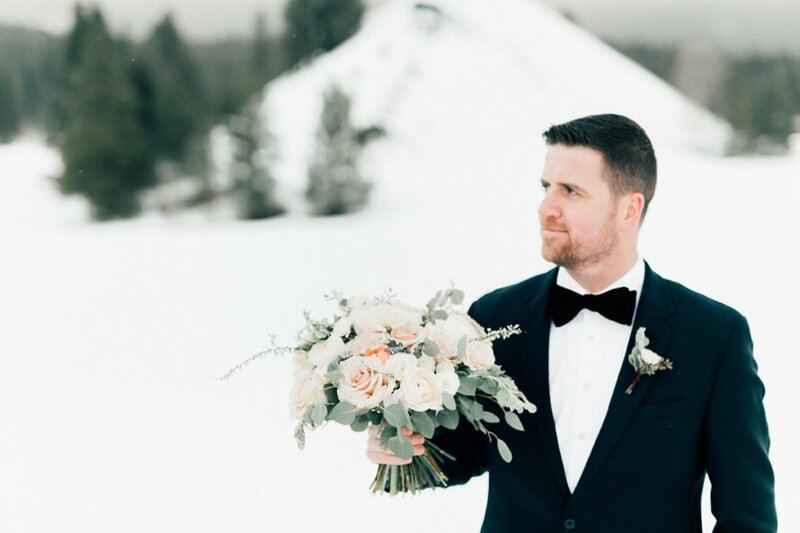 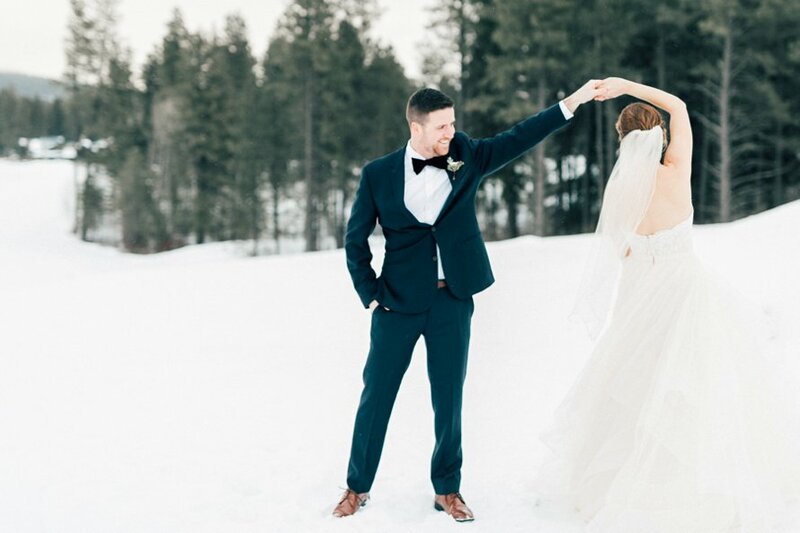 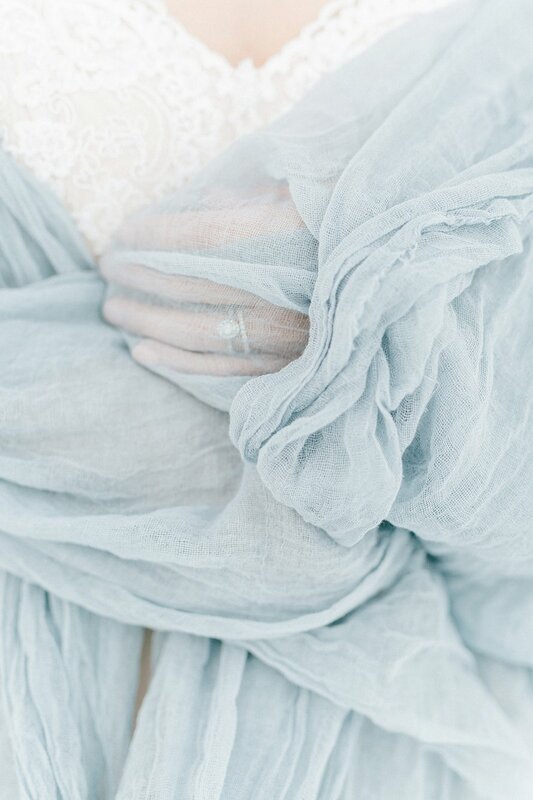 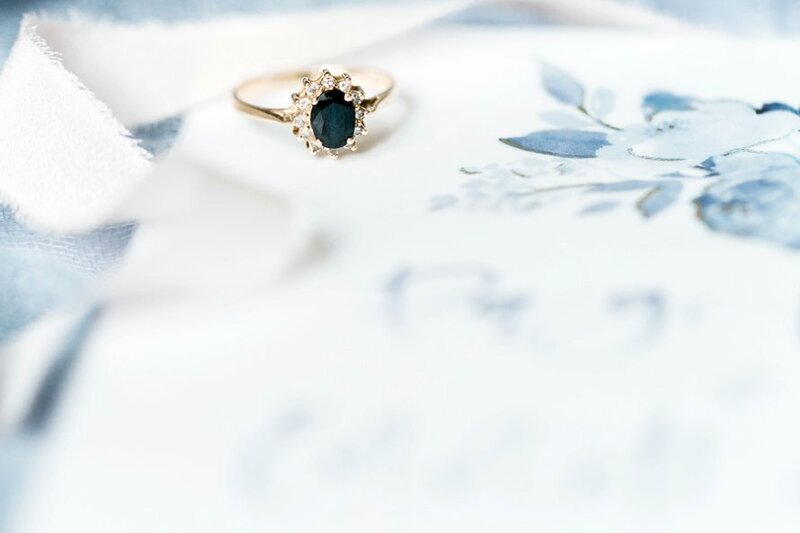 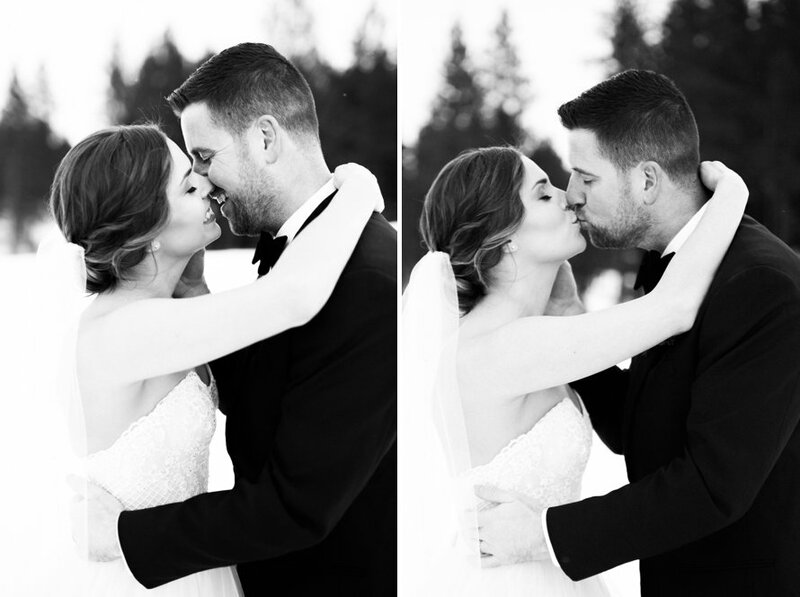 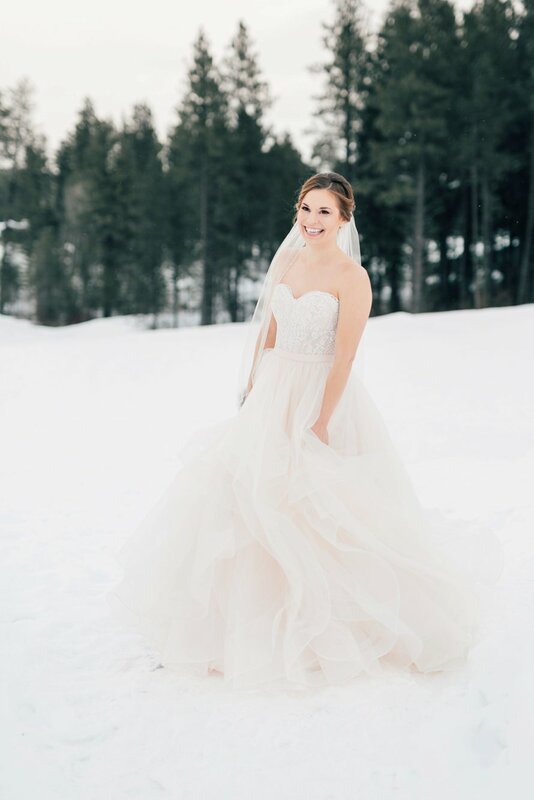 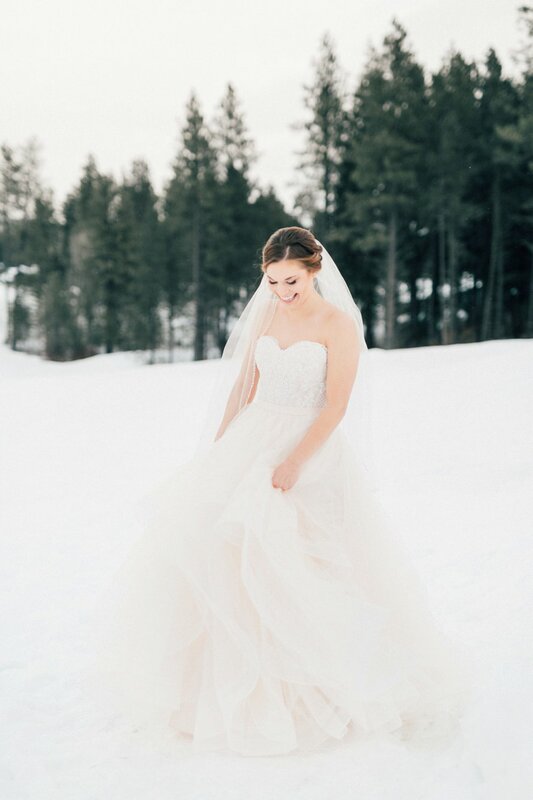 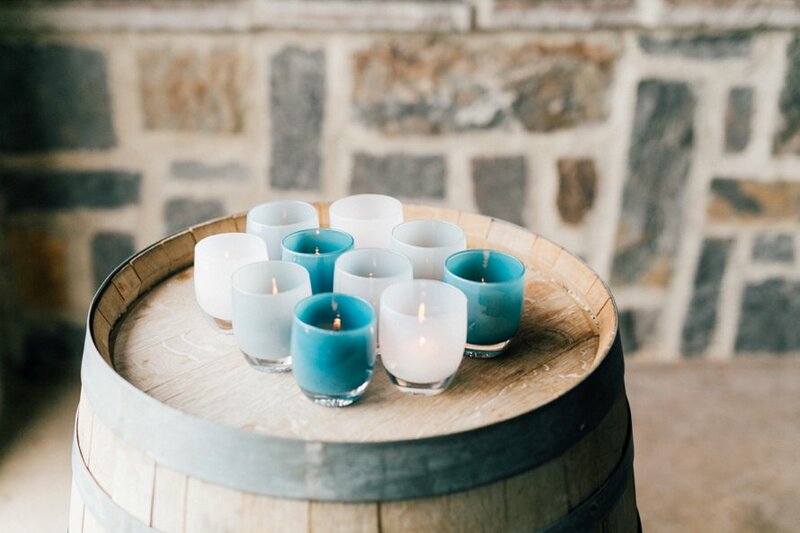 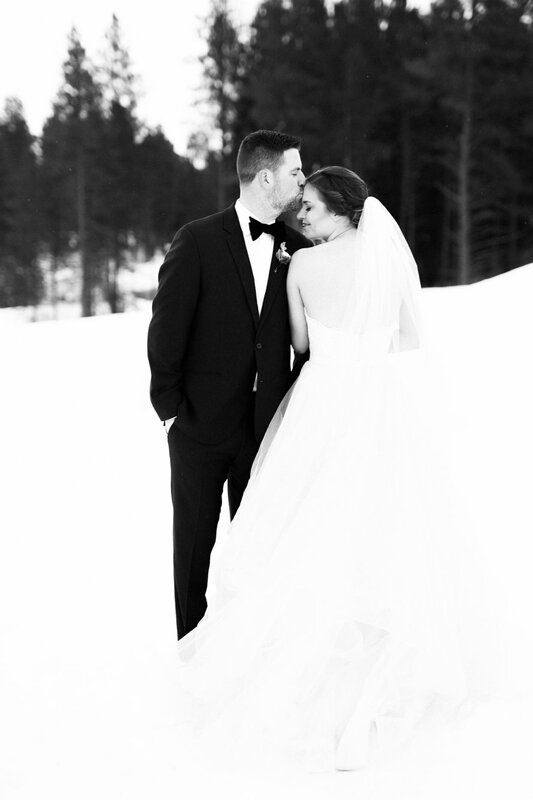 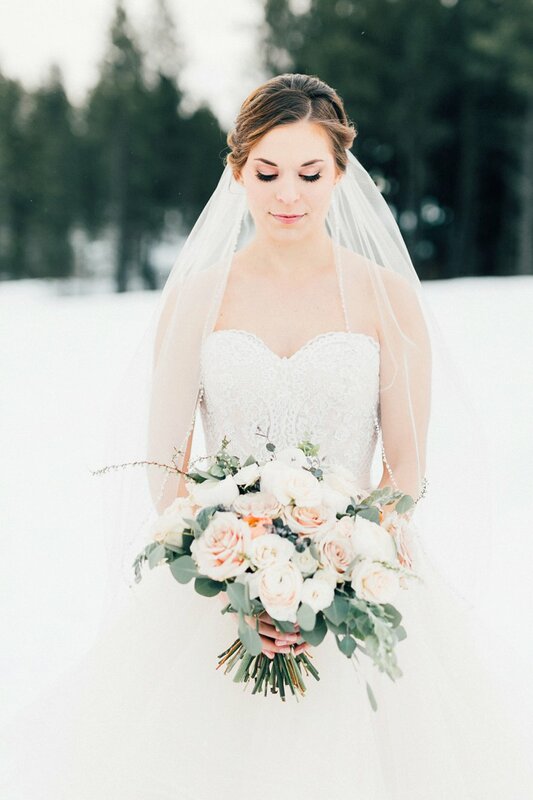 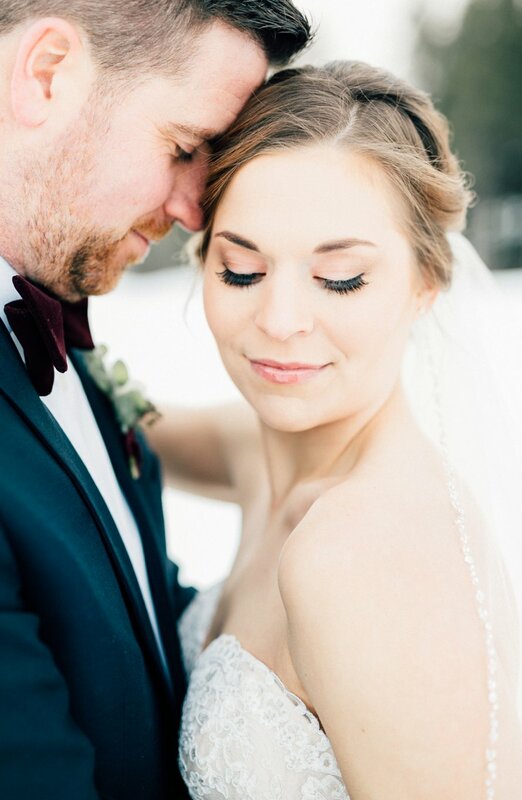 The softest snowfall, dusty blue hues and luxury found us at Swiftwater Cellars for this winter elopement inspiration! 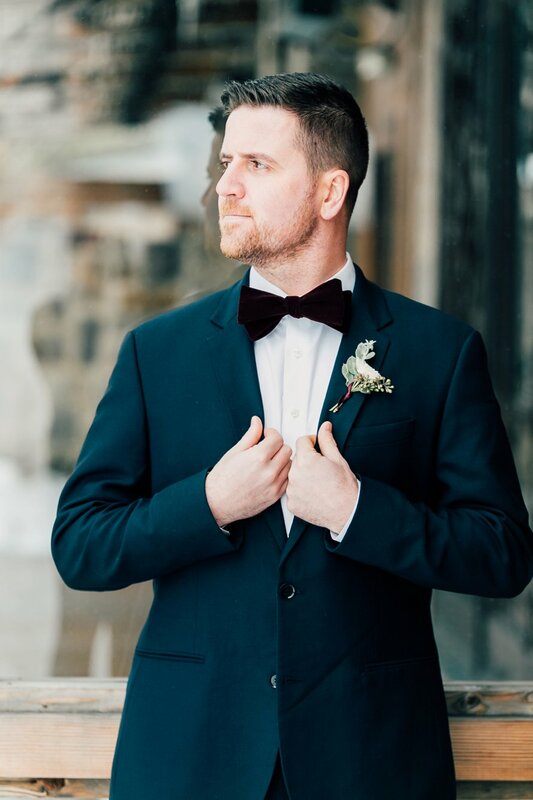 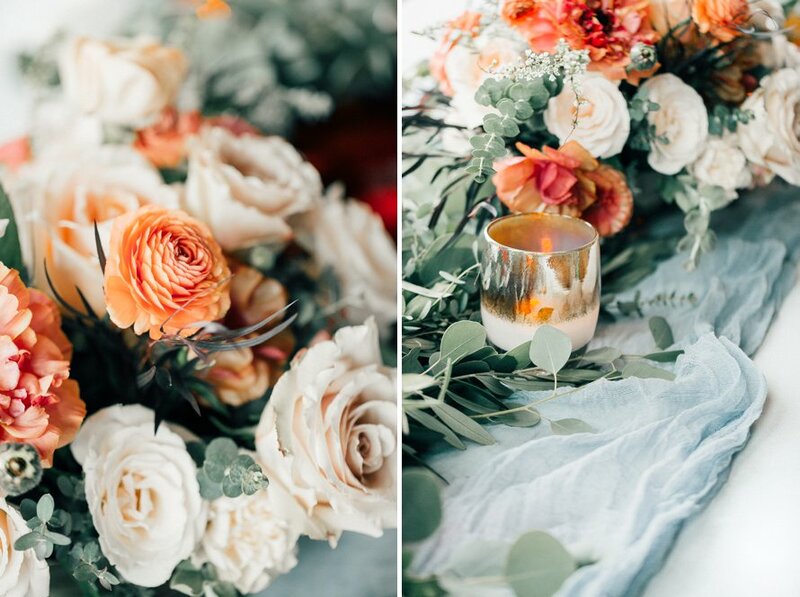 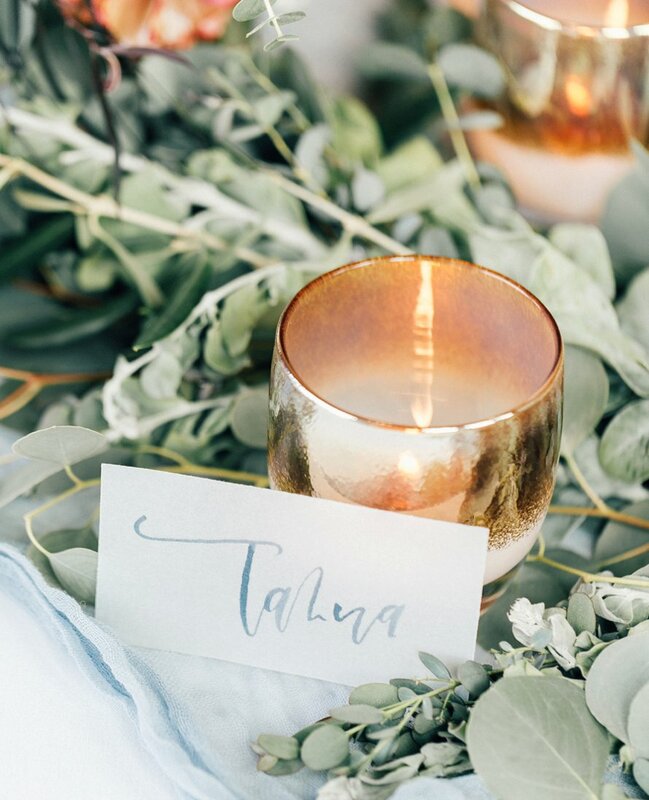 The collaboration was inspired by the air of romance that floats around the venue (as well as between sweethearts Tanna and Ryan) & all the texture in these details! 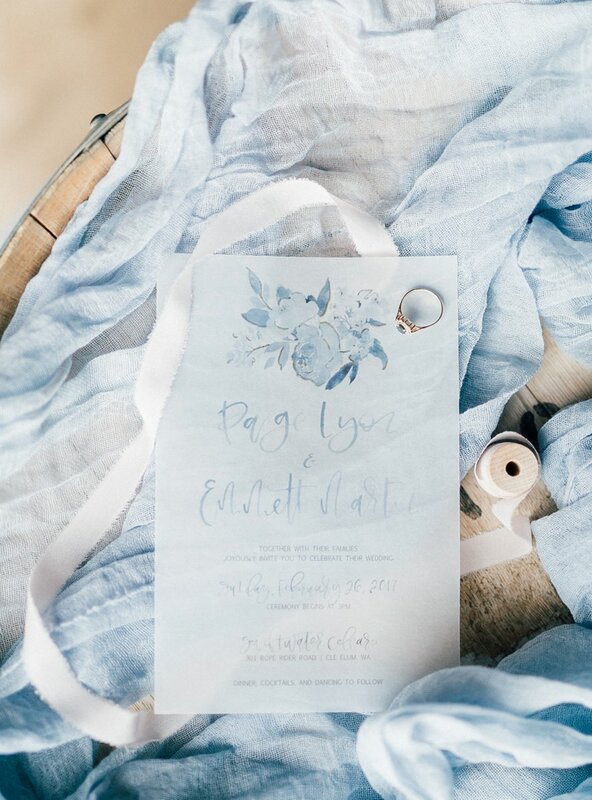 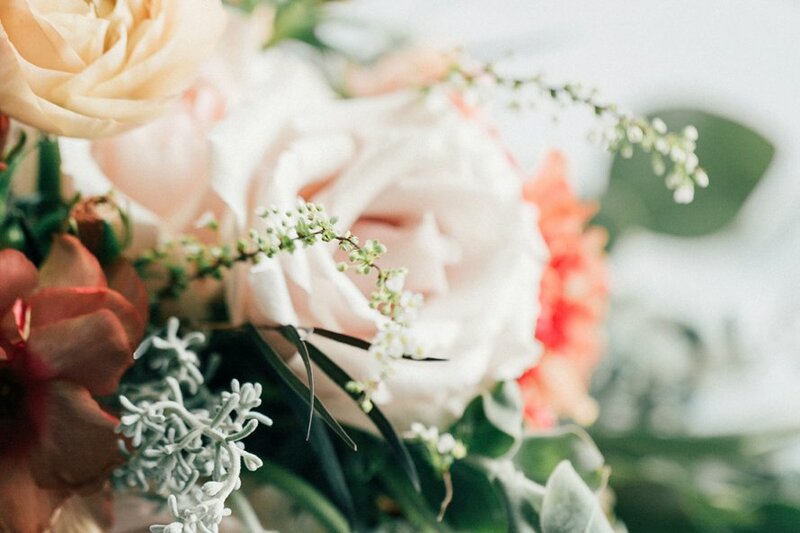 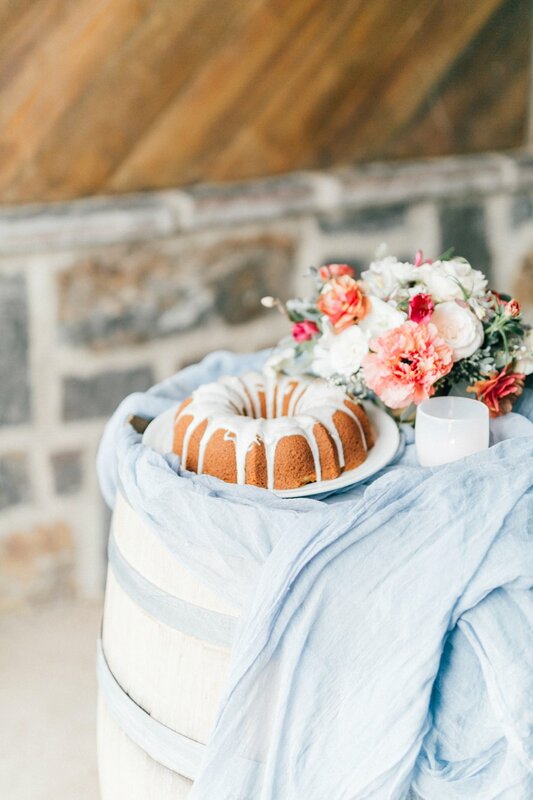 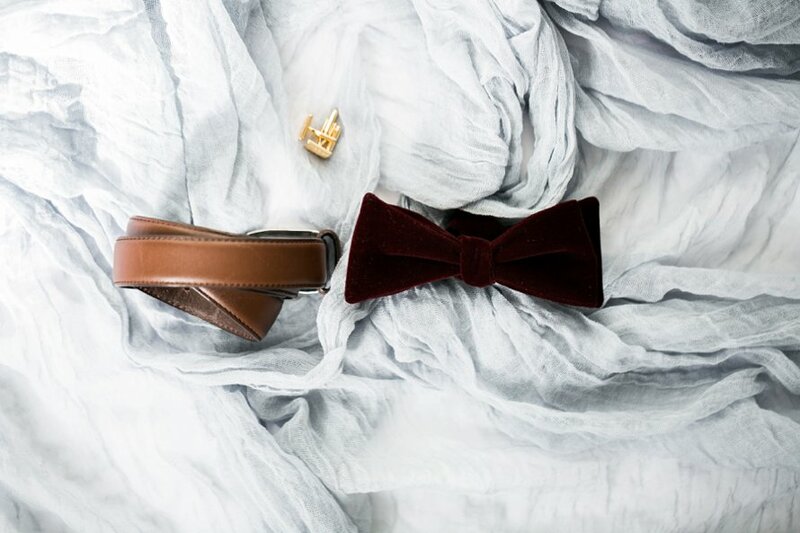 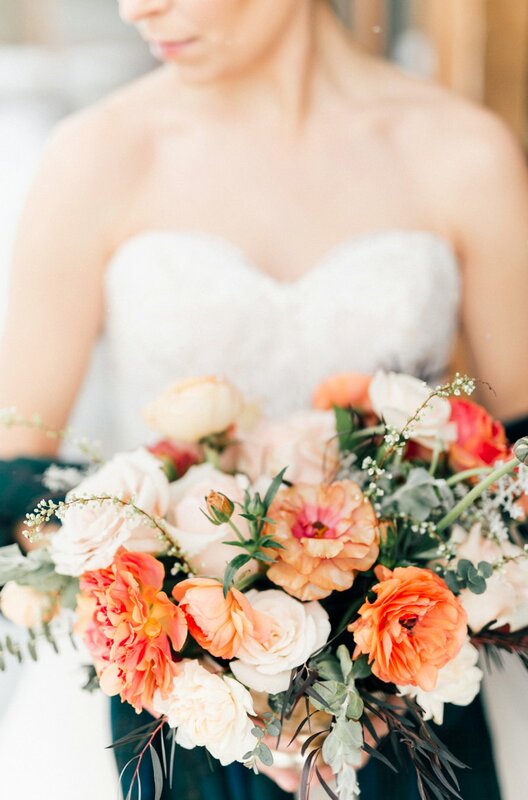 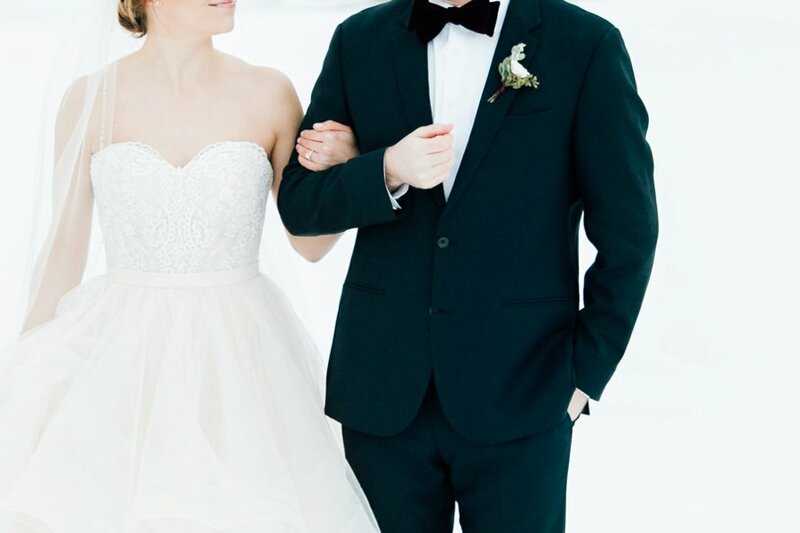 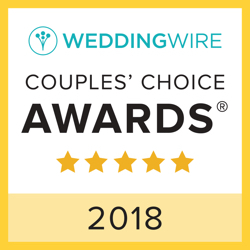 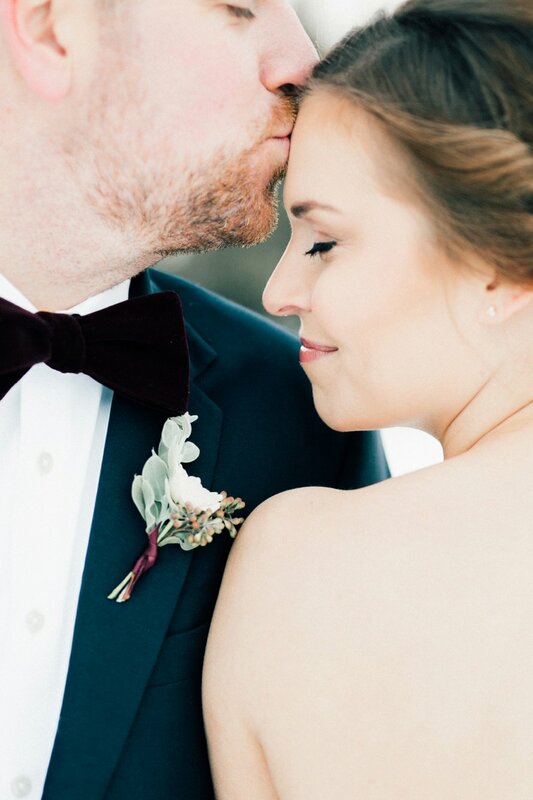 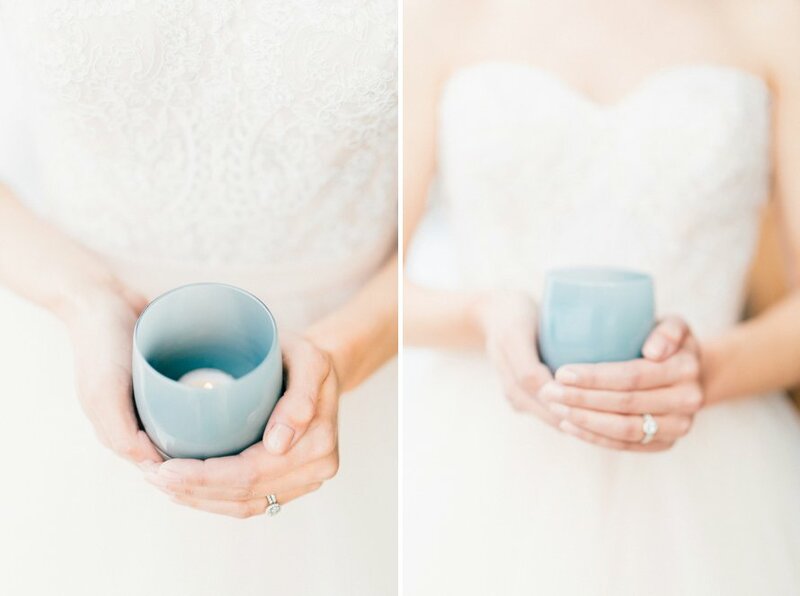 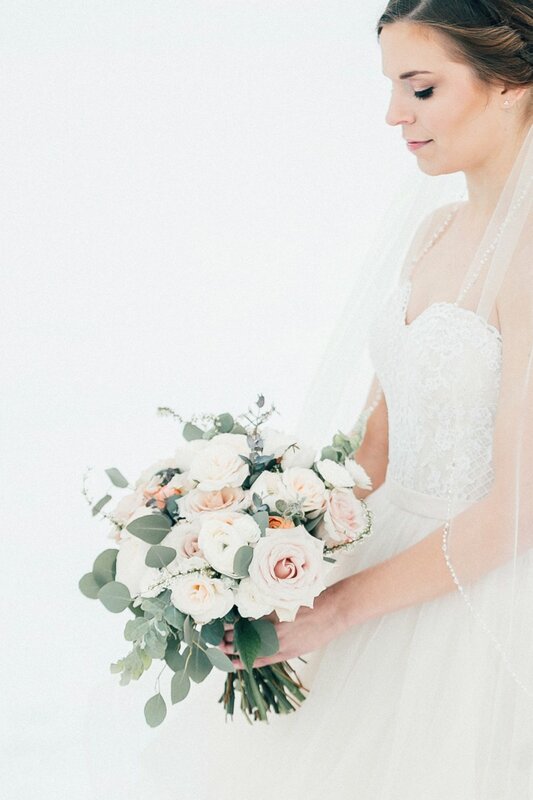 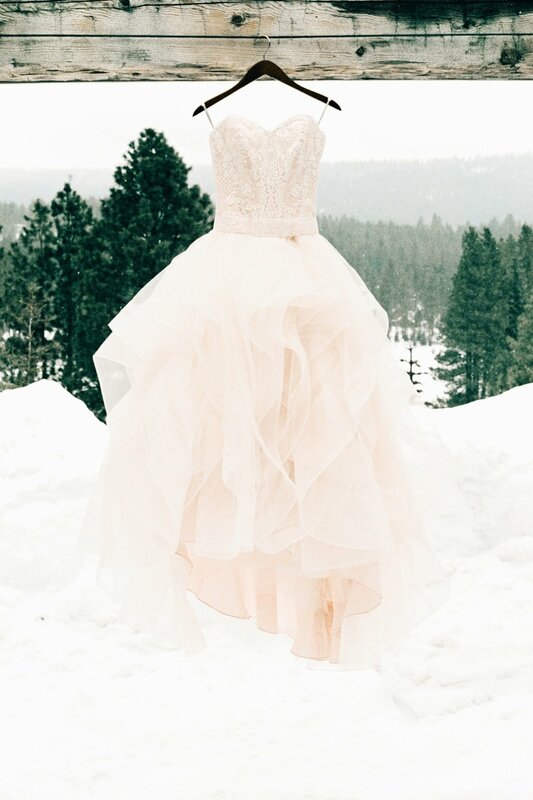 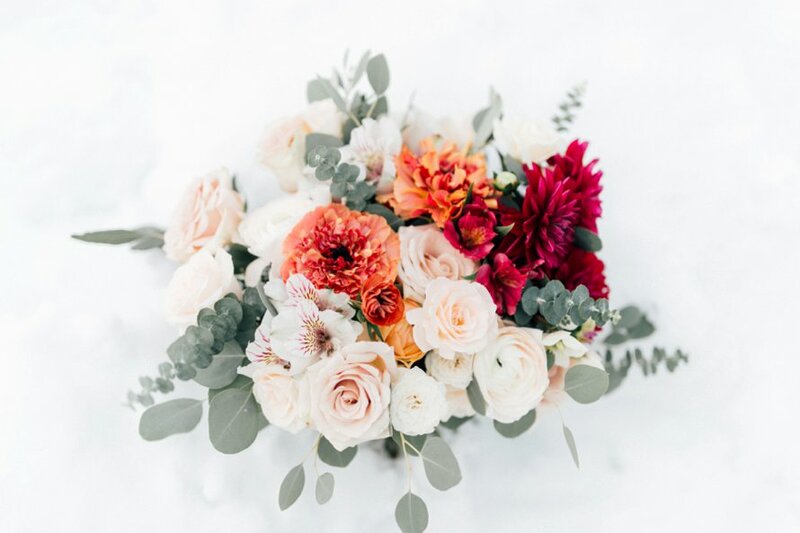 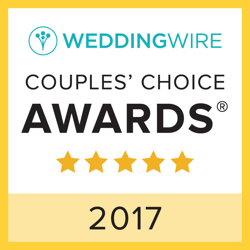 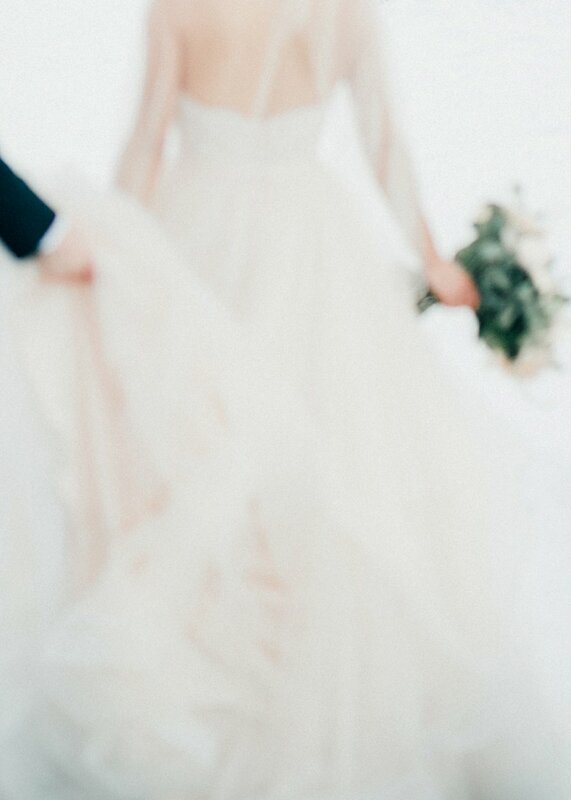 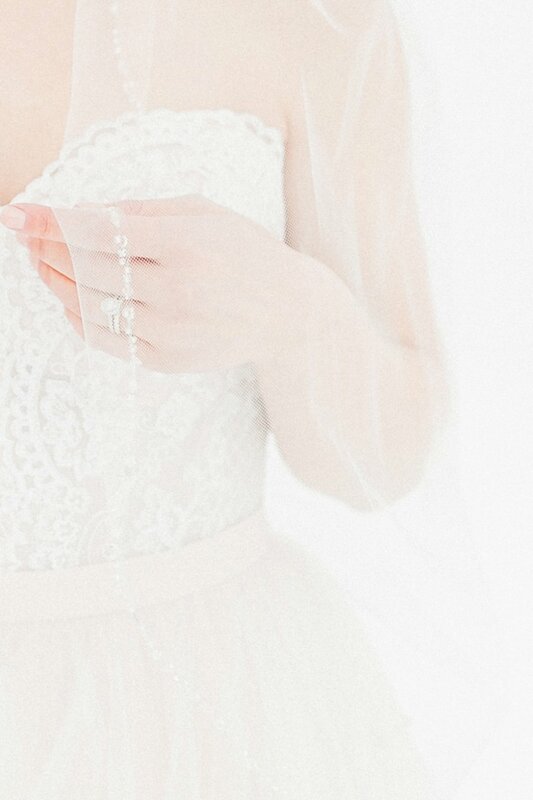 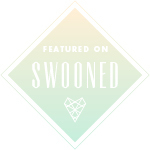 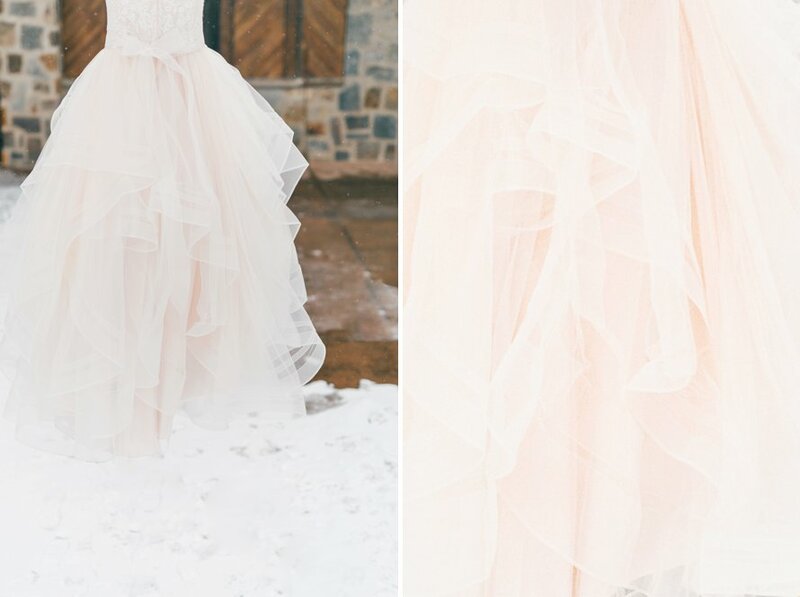 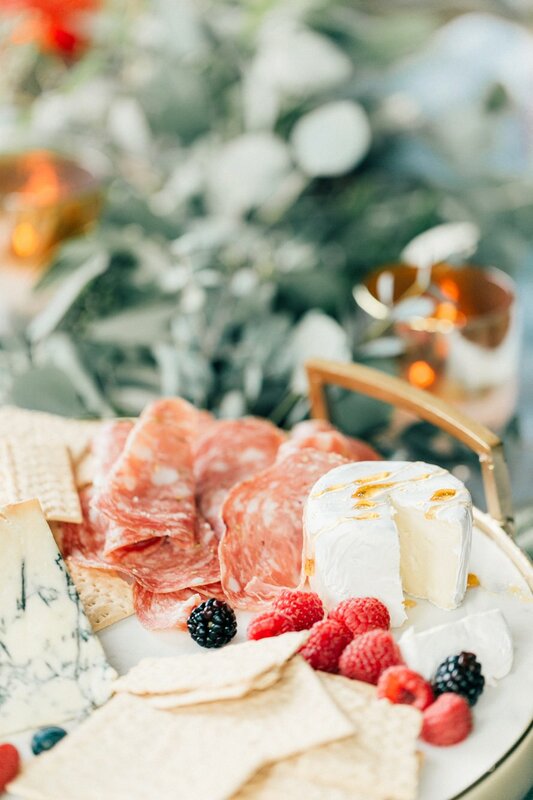 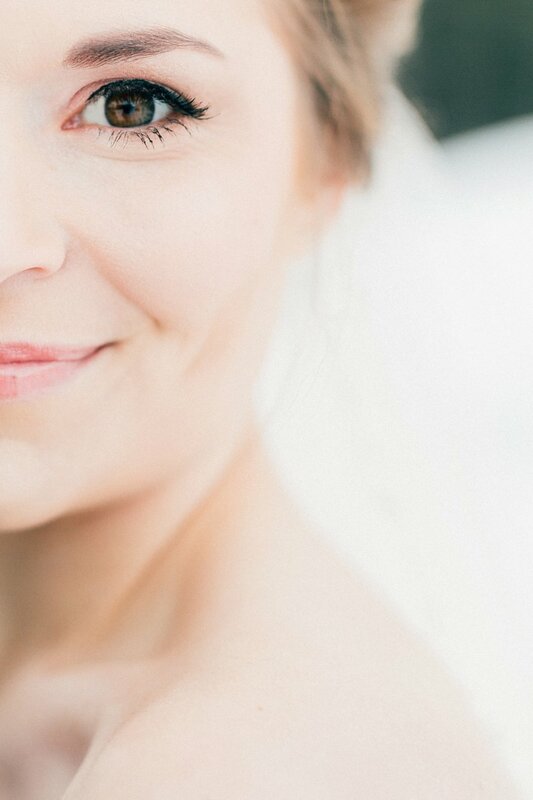 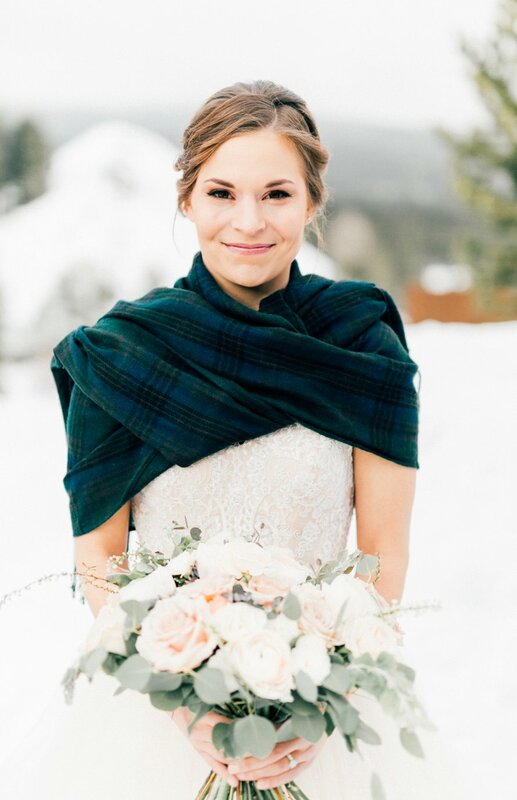 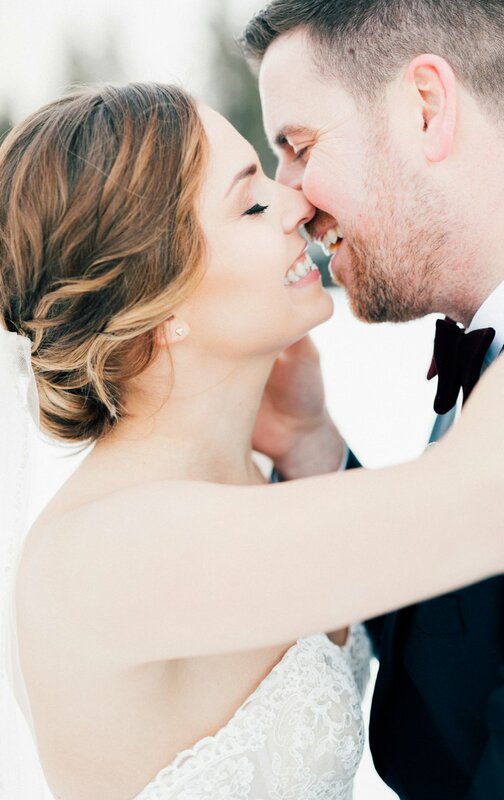 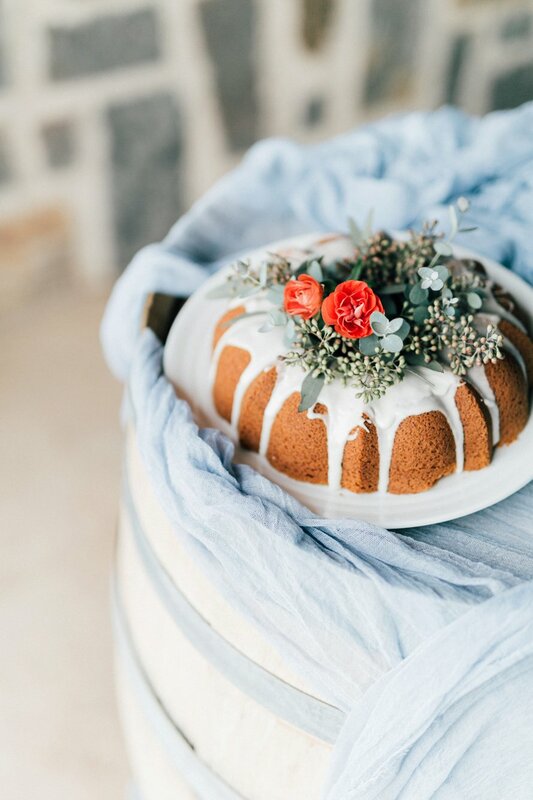 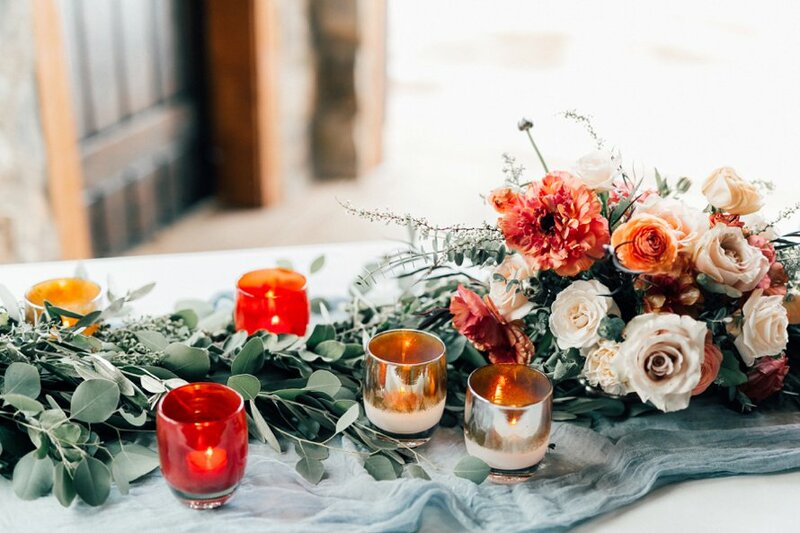 And oh, they seemed endless in romantic hand-dyed linens, the glow of glassybaby, muted floral arrangements, an airy vellum invitation suite, the softest silk ribbon, gluten free bundt cake goodness, that swoon-worthy two piece Watters gown accompanied by a navy suit and the blush palette makeup inspiration! 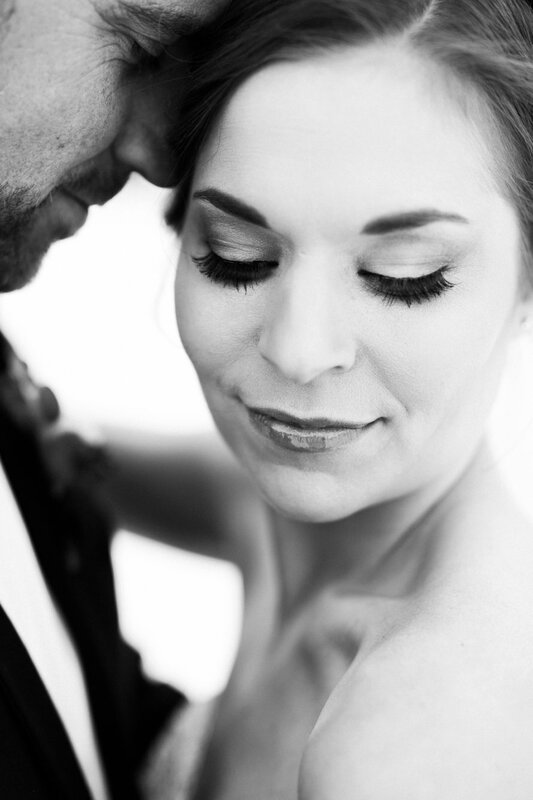 I could photograph every bit of it again and again, especially at this destination of a wedding venue! 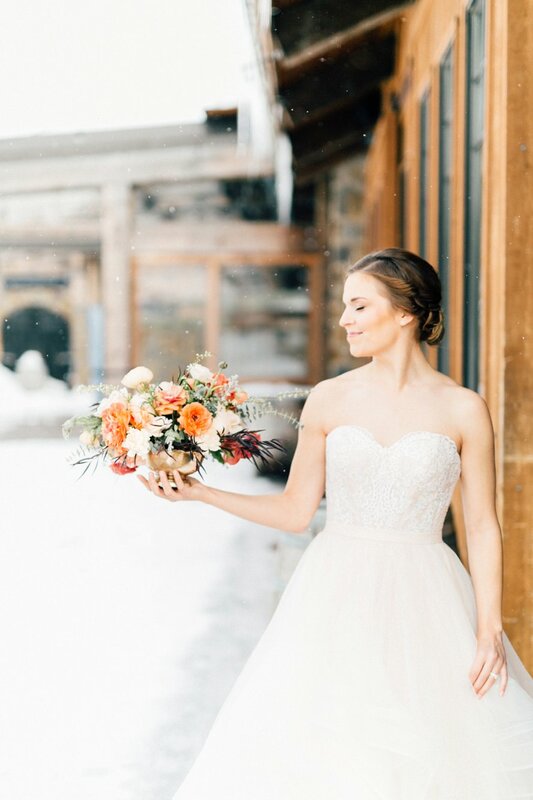 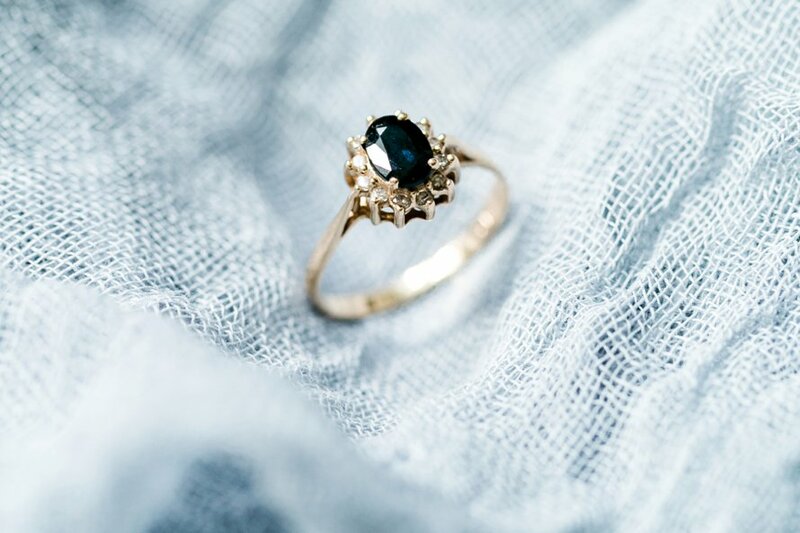 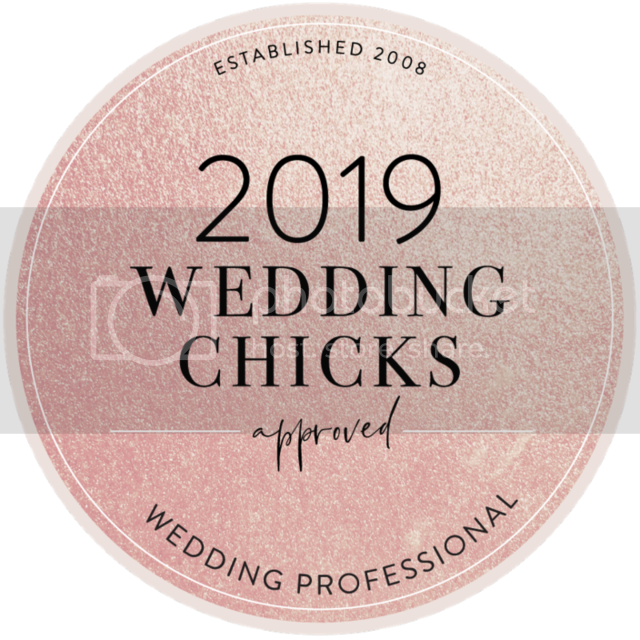 These vendors were nothing short of incredible to work with and I'd highly recommend each of them!